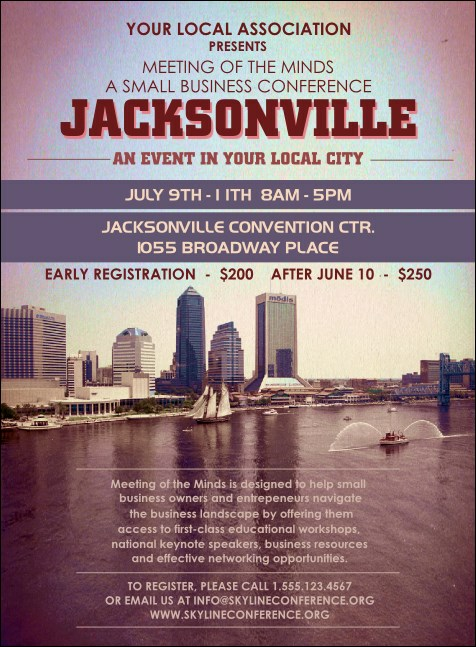 Strengthen your pre-event advertising in the largest city in the state of Florida when you print Jacksonville Invitations and send them out to your guest list in advance. These Invitation templates feature a sleek local background design that includes a nice view of Jax’s skyline on a clear and sunny day. TicketPrinting.com helps you win first place in First Coast advertising.